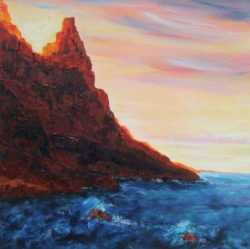 This oil painting, on canvas is part of a series called Coastal Variations. I have tried to create the varying coastal light, mood and colours. I work from photographs, sketches and memory.